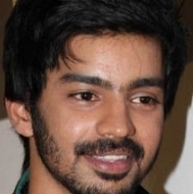 Mahat Raghavendra of Mankatha fame is quite busy and his kitty is full with exciting films. He will be starting his film titled Badam Pista from May 15th which will be directed by Michael who had earlier assisted with Selvaraghavan and also worked with Aishwarya Dhanush in 3. Badam Pista will have Dillraj as cinematographer who has worked in Arulnidhi’s Thagararu. The crew is in talks with Imman to score music for the film. Meanwhile Mahat’s Simbu will go on floors from June and the film will be directed by Sundar Pawan. Jilla DoP Ganesh Rajavelu and Thaman have been approached to take over the responsibilities of cinematography and music direction respectively. Official updates are awaited. People looking for online information on Badam Pista, Mahat Raghavendra, Mankatha, Simbu will find this news story useful.